Senator representing Kaduna North senatorial zone in the red chamber of National Assembly, Suleiman Othman Hunkuyi said, he was not bothered about recent curses rained on him and two other federal lawmakers from the state by the State Governor, Nasir El-Rufai. He vowed never to reply the governor no matter how he tried to push him to respond to his abusive words against his person. The governor was quoted by those at the factional meeting of ruling All Progressives Congress (APC) last week Friday to have rained abusive words and curses on the three senators over their roles in rejection of $350 million loan he applied for by the senate. In his words, “I don’t respond to insults. Hunkuyi for one is very comfortable. I am very relieved that our kings and queens have found many platforms to reply such an awkward comment on my person and my colleagues. “But there is a saying, who God fights for does not care to fight. We are not fighting El-Rufai. We are not fighting his government. We are only projecting the superior interest of our people and our polity in our state. The lawmaker also accused the Kaduna State Governor, Nasir El-Rufai of lying and misleading the people in the state about the controversial $350 million loan requested by the governor. The Kaduna State Government had in 2017 applied for the loan of $350 million which suffered the Senate’s approval because the three senators from the state opposed it based on lack of clarity on how the money would be spent and repayment period. 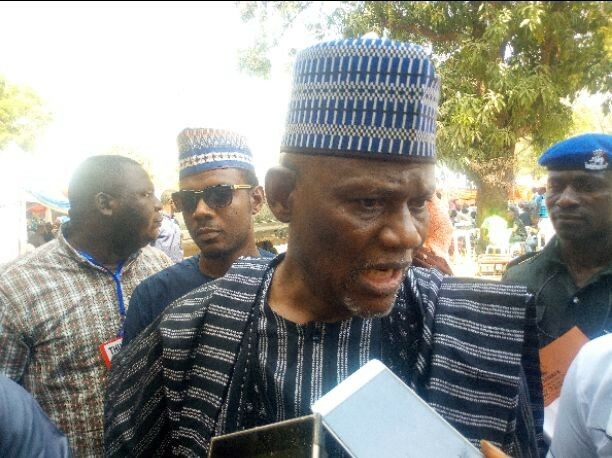 The lawmaker, a critical member of ruling All Progressives Congress (APC) in an interview in Kaduna shed more light on why the loan was rejected saying, it was rejected in the interest of the state and its people who will bear the burden of repayment in addition to existing $231 million loan. To him, “it is very clear that we have been vindicated. From 1959 to date, the debt profile of Kaduna state stands at $231 million. Why should one government take a loan of $350 million at one jumbo go in the year of election that nobody unless God is sure whether that government will succeed itself or other government will succeed it. “Second, the debt management office has indicated that, taking $350 million loan with a five years grace period to be paid in 25 years will mean a burden Kaduna State may not be able to carry because its excruciating; $231 million plus another $350 million to be serviced. “Third, we have said it that, why lied to Nigerians on an issue like that. You, Kaduna APC members and I are witnesses that this government has proved to us that, the loan profile will be paid in 50 years. Why did he lied to the people and painting the senators black? “Four, just this past Friday, Nasir in his anger has pronounced and indicated that, the loan will be used for completion of roads, schools and other infrastructures which is not true. “I have full access to Kaduna loan document and I am speaking as responsible representative of my people. “Access to the document indicated that, there is no such things like roads, schools and other infrastructures for the purpose of the loan. The loan was signed by the Minister of Finance, Kemi Adeosun on behalf of the Federal and Kaduna State Governments on the 29th September, 2017. Again, why lied to us? “Most of the loan will be spent on three main areas. Surprisingly but not accidentally, those areas are all pointing to the governor’s office: that is, former Kaduna internal revenue service, an office under the ministry of Finance almost since inception of the state. But it has been removed from that ministry and they now report directly to governor’s office where the chunk of the money will be spent. “Also, between Kaduna State Geographical Information Service (KADGIS) and the Board of Internal Revenue Service like I said have been transfered to governor’s office – in the name of boosting internally generated revenue (IGR). I am not against boosting IGR but again, why lied? He asked.